With National Digital Media Day only 10 days away, my grand scheme of being mobile and liveblogging across the region wouldn’t be coming to fruition without the help of Zipcar. Thanks to the car sharing network, I’ll be able to cover more than just Vancouver in the spirit of this national celebration of digital media. As such, I had a quick interview with the General Manager of Zipcar in Vancouver, which you can download, play and listen to over on RadioZoom. The federal government may not renew the $14.5 million Canada New Media Fund (CNMF) when it’s current contract expires on March 31, 2009. The annual $14 million CNMF, administered by Telefilm, supports new media and Internet-based content creation and marketing activities. The loss of this fund has far-reaching implications for New Media BC’s membership and the BC Digital Media industry as a whole. New Media BC and the Canadian Interactive Alliance (CIAIC), are committed to remain at the forefront of this issue. Many critical and market successes – in BC and around the world – would not have been possible without the support of the CNMF. More background is available on the Ning social network. I will have all posts tagged NDMD08 and all Flickr photos will also be in my NDMD08 set. 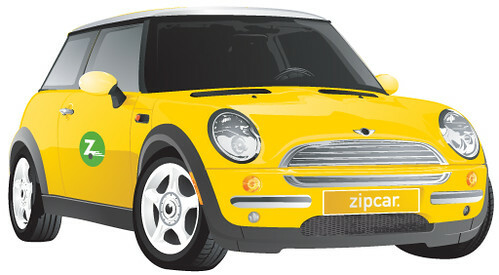 The super special Miss604 discount referral link for Zipcar (mentioned in the podcast) will be published on every blog post I write on September 25th so stay tuned. If you have a suggestion for one of my stops on National Digital Media Day (from Langley to Richmond and everywhere in between) please submit it in the comments below.